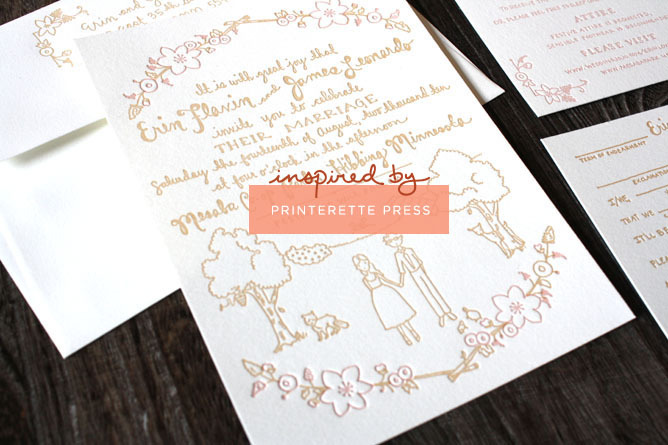 Printerette Press has the freshest hand lettering and illustrations. 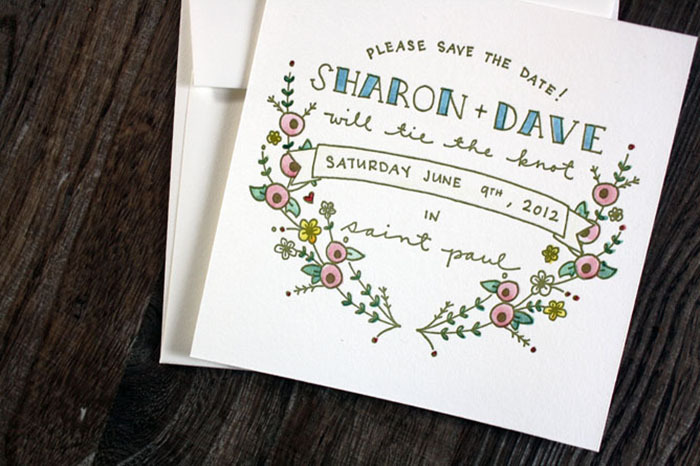 Their work includes beautiful watercolors and crisp graphics, and they do a wonderful job at choosing complimentary colors for all of their invitation suites. 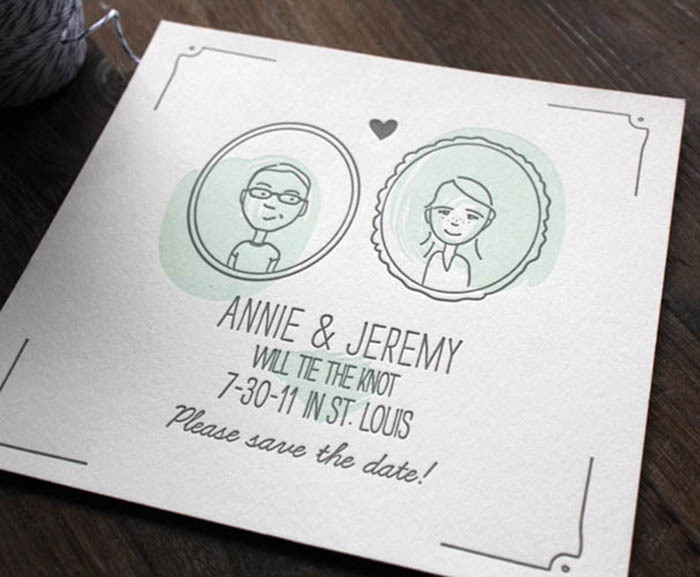 I love how Printerette Press has the ability to make something that can be formal, like a wedding invitation, and make it feel fun and unique. My favourite is the second picture! Megan, this is crazy late, but thank you so much for this post! was doing the old google-yourself-when-you’re-bored and discovered this from years ago! thank you so much. I’m such a fan of you and your blog and to realize there’s been a printerette post just put the biggest smile on my face. thank you. hope you’re felling well in the last days of preg-lyfe!